And I never once considered carrying a self-defense weapon in my gadget bag: It’s what the crooks want, why would I just add to the stuff they get to steal by putting a weapon in there with my lights and lenses? Same with a purse: It’s what the crooks want and one of the things you want to defend, so keeping the means to defend yourself inside the thing you’re to defend. It’s like freezing your diet plan inside a tub of vanilla ice cream: You’re going to get into more trouble getting to it than you are using it. Video courtesy of Kathy Jackson, who recommends on-body carry, and so do I. Being a gun owner doesn’t mean you’re compensating for something. Being a gun owner means you’ve realized there will not be a cop around when you need one, and that you are always going to be your own first responder. Owning a gun is just the first step on a journey. Guns are not self-protection talismans that ward off evil-doers all by themselves: You have to have it handy when you need it and you need to be ready, willing and able to defend your life and your loved one’s lives, if, God forbid, the need to do so arises. I applaud Sherri Shepard for doing what thousands of other people have also done: In order to keep her family safe, she has chosen to purchase a defensive firearm and become her own first responder. The alarm and it’s warning terrified Shepherd, her husband Lamar Sally and their son Jeffery, despite the police arrived seven minutes later to reassure the family it was simply a false alarm. Nonetheless, the devout Christian who has taken a more conservative stance on a number of recent hot-button political issues to make The View’s roundtable, declared they were buying a gun. And that’s what this website is about. If you’re a first time gun-owner, we’ll help you get your gun out from its box underneath the bed (or wherever) and onto the range. At TeamGunBlogger, we’re not tactical ninja SWAT types and we’re not ex-special forces with years of experience in the sandbox. We’re people like you who have chosen to purchase a gun (If I’m honest, more than one…) for self-protection and enjoy the shooting sports. We’ve gone down the road you’re about to go down, and we’re here to help guide you where needed. Stick around, and let’s enjoy the journey together. 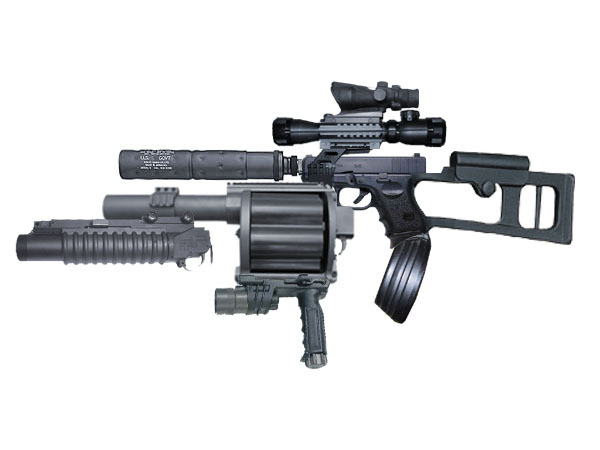 I’ve previously established that I’m not tacticool, but I don’t mind admitting that there are some gadgets and widgets in the tactical gear world that I would be happy to own. I now have another item to add to this list: 5.11 Tactical’s Taclite Pro pants for women. I’ve looked at purchasing tactical pants in the past, but the options for women have always been extremely limited. While there are a few companies that make women’s outdoor clothing, the vast majority of tactical and outdoor sports pants are made only for men. Another issue that has prevented me from finding a pair of pants that are suitable for competition shooting is that I’m a bit vertically challenged, and pretty much all the tactical-ish pants for ladies I’ve looked at are ridiculously high-waisted. I don’t enjoy wearing pants that go up to my armpits in my daily life, and that would be a serious no-go when I’m shooting. 5.11 Tactical decided to tackle the ill-fitting women’s tactical pants issues, and they have recently updated their line of pants for women with a more friendly fit. I got the chance to see their new styling during Media Day at SHOT Show earlier this year, and they caught my eye right away. One of the ladies in the 5.11 Tactical booth was sporting a pair, and they not only looked sharp, the waist looked to be at just about the perfect height (just under the natural waistline). Thanks to 5.11 Tactical, I now have a pair of Women’s Taclite Pro Pants of my very own. I selected my most often worn pants size, and I was very pleased to find that they fit great through the hip, seat and legs – not loose enough to be called “relaxed”, but still plenty of room to move around in. The top of the pants fall just below my natural waist; I could not have asked for better placement. I was surprised to find that the waistband was on the loose side (hey, maybe I lost some weight. More cake! ), but the little areas of elastic on each side of the waist seems to help keep the waist from drooping. I’m almost always going to wear them with one of my competition shooting belts, so this is a non-issue for me. I’m considering that a plus, as the slight looseness will allow me to throw a pair of long underwear on underneath without them being too tight. The only fit issue I had to deal with was the overall length – a good two inches too long for me. I knew this before I received them because they are only available in regular and long. I managed to hem them myself with no problem (and I didn’t even cheat with hem tape this time), but I really wish 5.11 would add a “petite” length to their line of tactical pants. After all, I’m perfectly average, according to the Government. The Taclite Pro’s are made with poly-cotton ripstop, which is why I chose them over 5.11’s standard, cotton canvas tactical pants. I figured I would get more use out of a lighter weight pant, and since they are treated with Teflon for a stain resistant finish, I have a chance of keeping them snazzy looking for a decent amount of time. I have a habit of wiping my dirty, grimy magazines off on whatever I’m wearing, so having some stain resistance is a nice bonus. To put these pants through their paces, I decided to wear them at the two big matches I shot in November: The IDPA South Mountain Showdown and the USPSA Area 2 Championship Match. The IDPA match was an all-day, 8 stage match, and temperatures were unseasonably low with dark rain clouds looming almost all day. I was concerned the fabric would be too light for the weather (anything under 75 degrees=cold), but my legs never felt cold, and they were so comfortable that unlike everything else I was wearing, I didn’t want to rip them off after wearing them for over 11 hours. For the Area 2 match, I wore them on Saturday, our second full day of shooting. The weather was, again, unseasonably cool with the threat of rain. Once again, the pants felt great all day. I’m really glad I chose these pants for Saturday because it turned out to be the day with some of the most physically challenging stages. The reinforced knees came in very handy while going prone and the deep front pockets allowed me pick up after myself quickly after pulling a couple of yard sales with my magazines. In addition to feeling really comfortable in these pants all day, I also received an inquiry and complement on them from one of my fellow female squad mates, who is of similar stature and has the same problems finding pants to wear while shooting. To see the pants in action, here’s a video of me shooting stage 7 of the Area 2 match. Yes, the popper on the far right was supposed to go down. (Note to self: the *ding* of the steel does not always mean it went down) Might I suggest focusing on my mag changes instead? I really like these pants. So much so, I’ve already purchased another pair in black. I decided to purchase a size smaller then the original pair, and that might have not been the best idea. The waist fits better, but the seat, hip and upper leg area are a little too tight (So much for more cake). If you are a skinny-mini, you should be able to get away with purchasing a size smaller than normal, but if you’ve got some shape going on, I’d recommend sticking with your regular pants size.